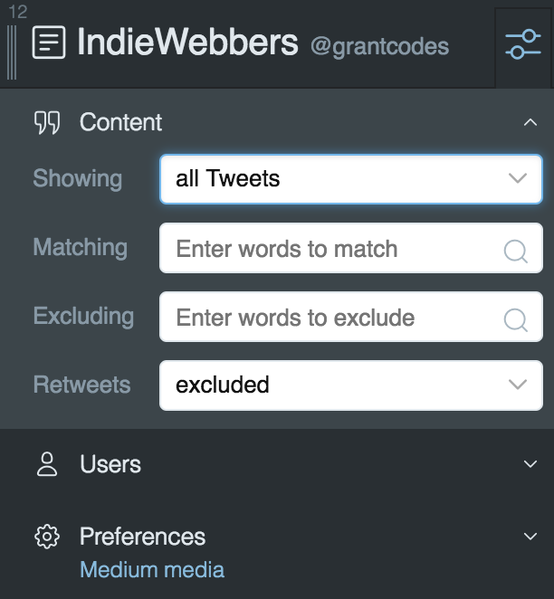 It may be useful for users to have filters per channel. For example if a user only wants to see original content from people they are following eg. excluding likes, reposts, bookmarks etc. I'm going to add this to Aperture first before trying to add it to the spec. This will let me iterate quicker on the UI and feature set without having to have clients update. This does mean the limitation is that the filters can only be adjusted through Aperture's own admin UI, but I'm okay with that limitation for now. Since they are channel-wide filters, rather than per-feed filters, it's unlikely that I will want to be able to change them from arbitrary clients very often anyway. A compromise might be a way to discover the link into the backend admin UI. 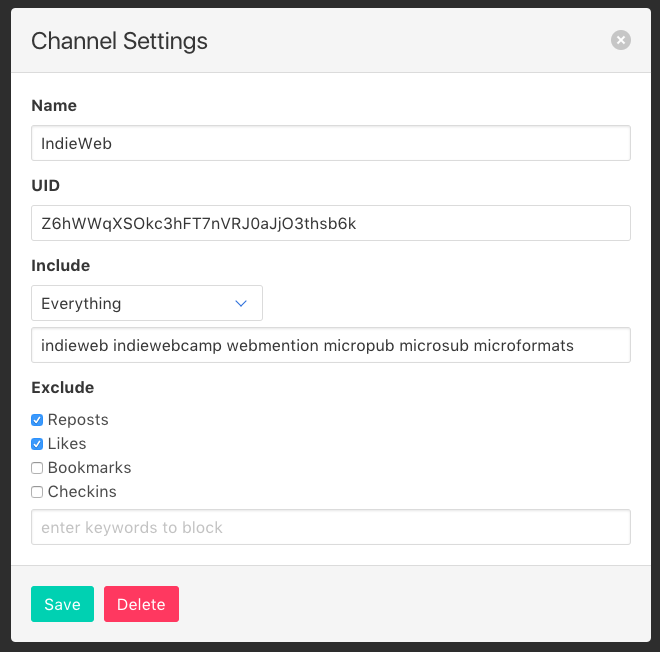 Then the reader could send the user directly to the right channel/feed settings instead of the user having to manually navigate the backend UI.